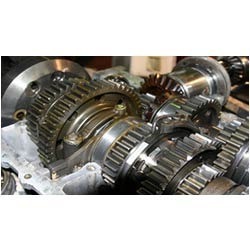 Prominent & Leading Service Provider from Mumbai, we offer plant and machinery valuation. We are one of the leading firm, offering Plant and Machinery Valuation to our clients. Our service is classified into three main categories. Sale for Removal for similar or alternate use Continues or installed use of the asset for the purpose for which it was designed and acquired Liquidation. Our services are client-focused and the quality based to ensure the performance of the services which we render to our clients. Looking for Plant and Machinery Valuation ?